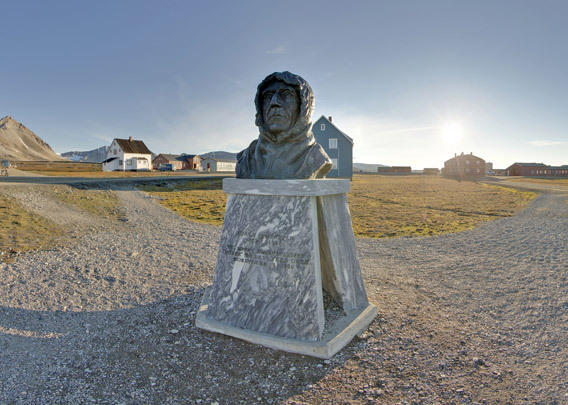 The name of the famous polar explorer Roald Amundsen will forever be associated with Ny-Ålesund. Next to the settlement, there is still the airship mast that was used during his successful flight to the north pole with the airship Norge in 1926 (and by Nobile with Italia in 1928). Every year, thousands of visitors make the pilgrimage to this holy grail of polar exploration. 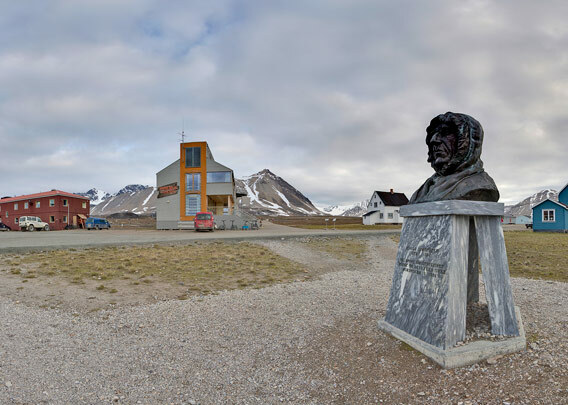 In Ny-Ålesund itself, there is this large bust of Roald Amundsen, centrally located and impossible to miss. There are a few more of the same kind in other places that were important during Amundsen’s expeditions, but in comparison to remote sites e.g. in the northwest passage, this one in Ny-Ålesund ist still relatively easy to get to.